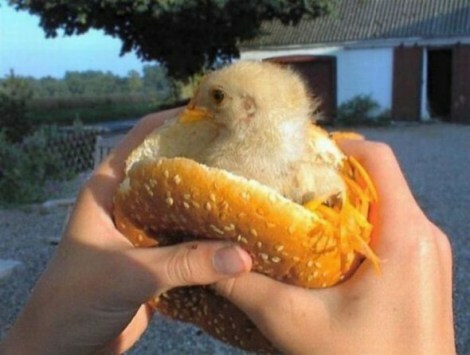 WARNING: KFC Serving RAW Chicken To Unsuspecting Customers. This might just be the worst KFC meal ever. Yes, many other things have been found. Fried chicken heads, fried rats and even flies embedded underneath the crispy layers. But raw chicken? Can you just imagine biting into the rubbery flesh, no thank you. Not only is it raw, but we all know that KFC’s chickens are genetically modified chickens. But that’s another story. 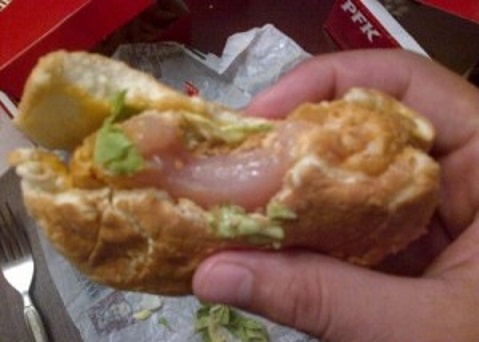 This is not the first time KFC has gone under fire over raw tainted chicken. In another story from Conroe, Texas, a customer was served spoil chicken that was over 16 days old. The smell allegedly sent one worker to the bathroom vomiting. In another lawsuit KFC was ordered to pay $8.3 mi llion to the family of an Australian girl who was left severely brain-damaged and in a wheelchair after eating chicken from that establishment which resulted in salmonella poisoning.